The day started out leaving from our first Warm Showers stay. 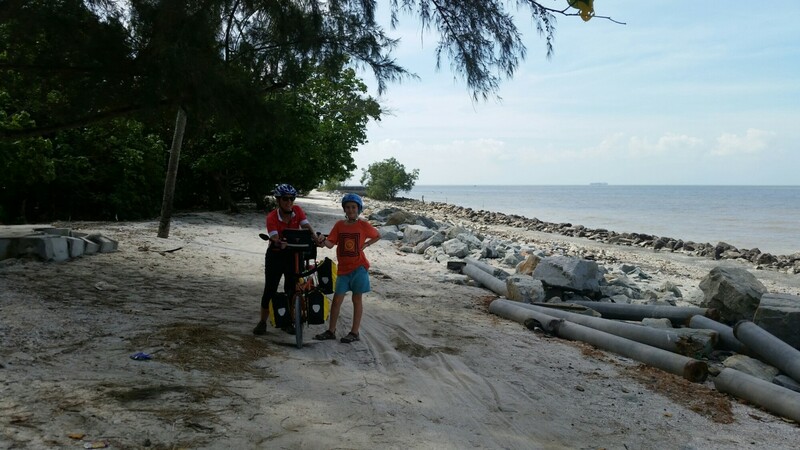 Our hosts were very welcoming and showed us around on our rest day in Klang. 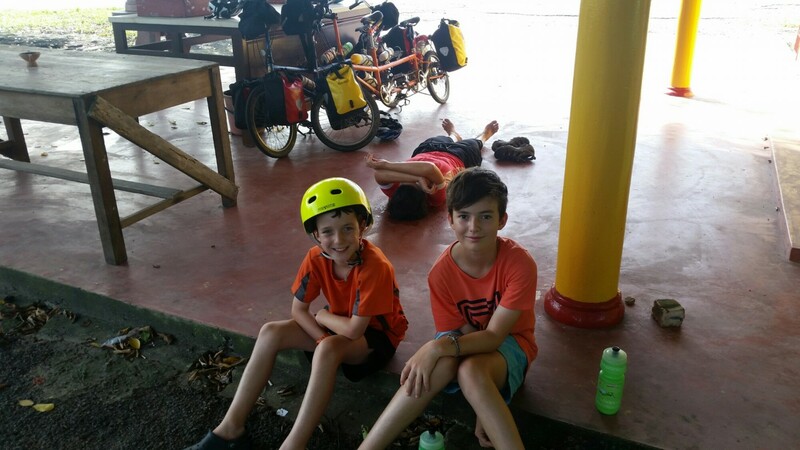 It was another hot day and by 10:00am we had ridden halfway, but needed a rest stop in shade. We came across a Buddhist temple on the side of the road that made a perfect spot to cool down and rest. We made it to the coast by late morning and we found a road right on the beach. Luckily it was only too sandy right at the end, which made it a perfect spot to take a photo. 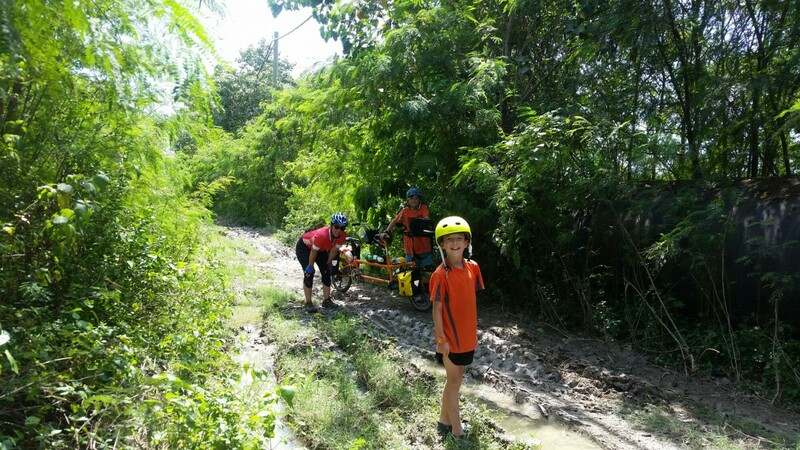 We had another adventure after lunch with a muddy track, but I will let Patrick tell the story. 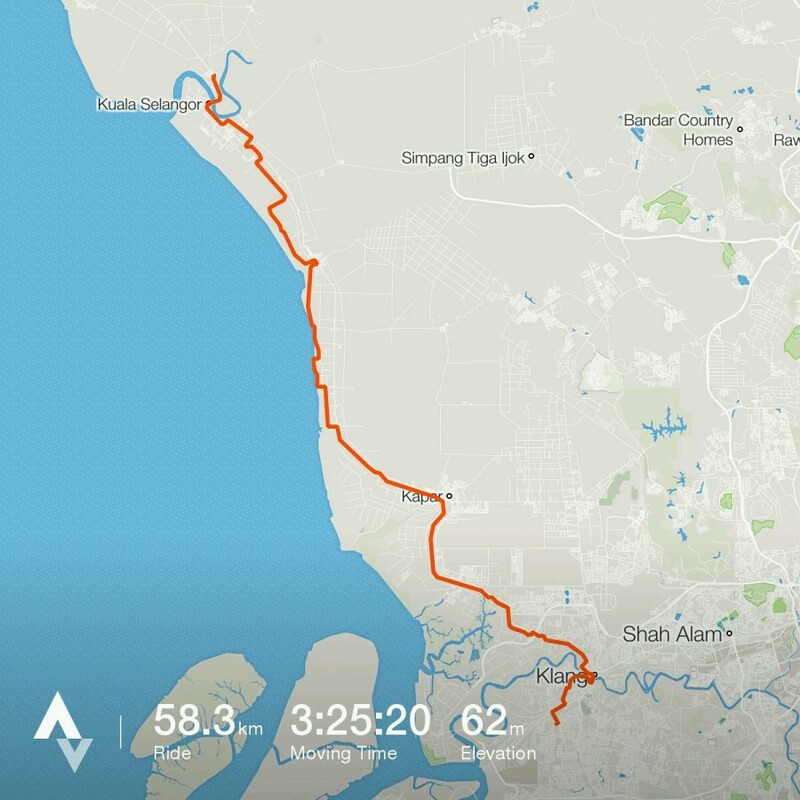 Previous PostCycling to Kuala SelangorNext Postrock climbing! Great distance today! Enjoying your photos and Strava details. Thanks, I am going to look at combining all the days onto one map on the blog. I have now created a Map of Trip page that combines all the Strava rides. Really great effort, nice to be on coast. Did 3 hours of yoga this morning. Lots on core strength . Enjoying cat sitting at Teresa’s and old fav walks. That sounds like a marathon yoga class. Don’t over do it.